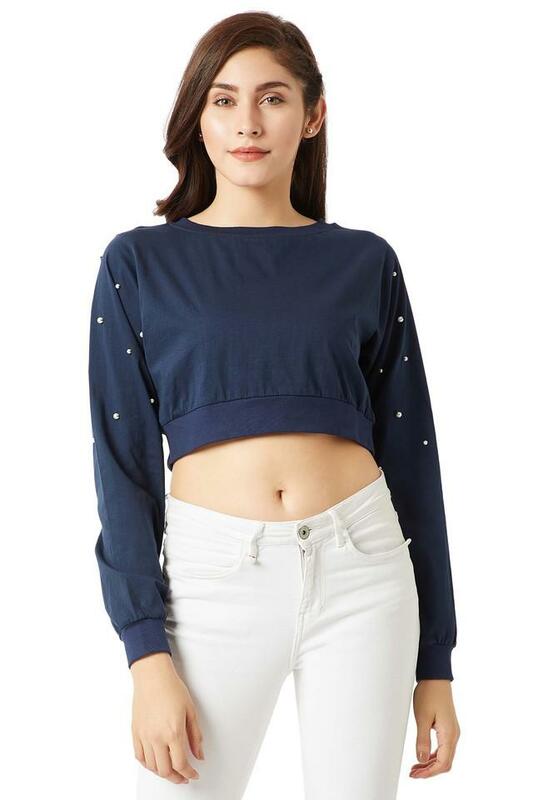 Inspire chic finesse in your casual line-up with this crop top from Miss Chase. 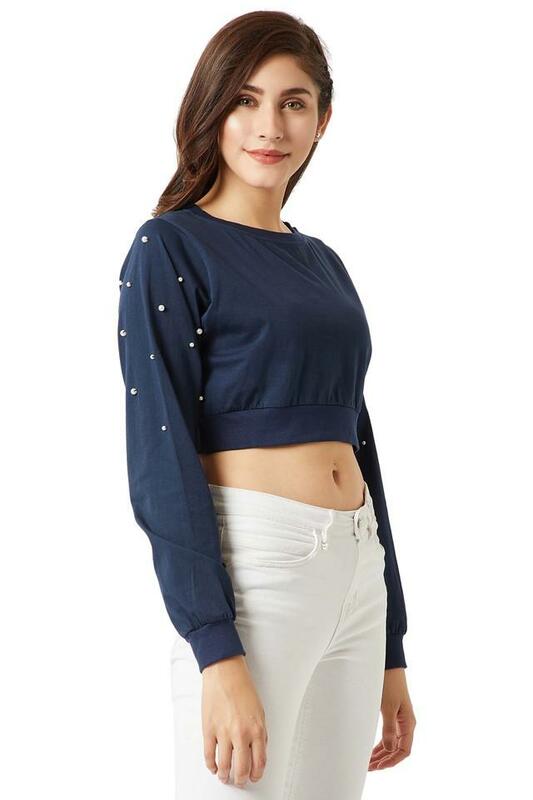 Made from good quality fabric, this top fits your personality so perfectly that you will love it instantly. 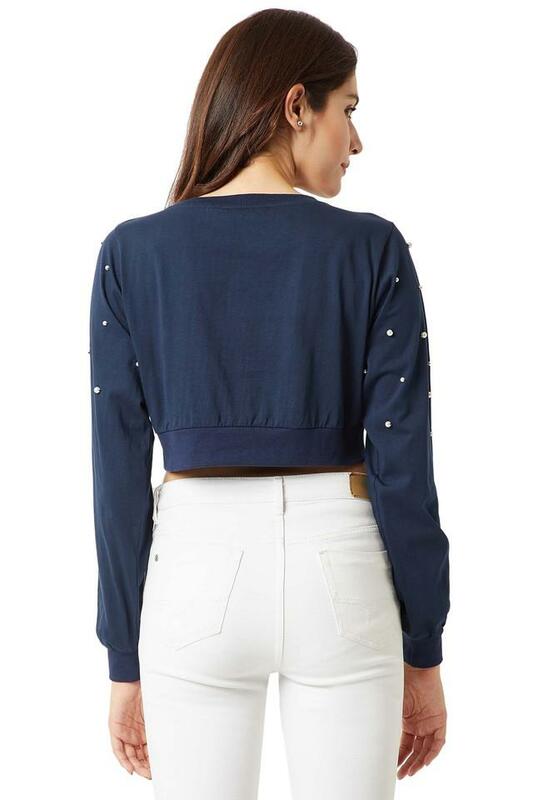 Featuring a round neck, full sleeves and embellished pattern, this top holds a superlative allure.